In summary, they praised ESCP Europe Business School (London) for undertaking activities that were not only responsive but also innovative. 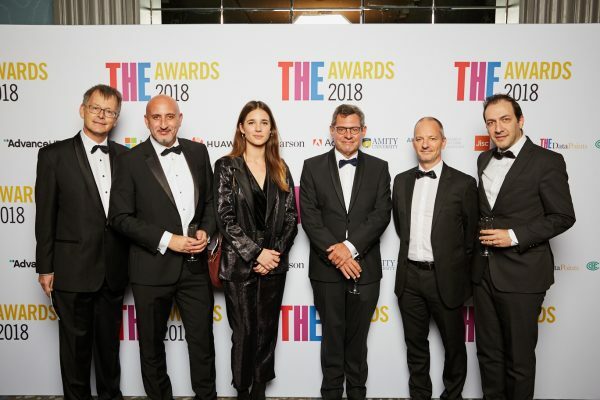 “Higher education is not always credited with being quick to respond to changing business and political environments, but this business school managed to deal with changing government priorities in an engaging way, producing programmes around Brexit and the industrial strategy,” the panel said. 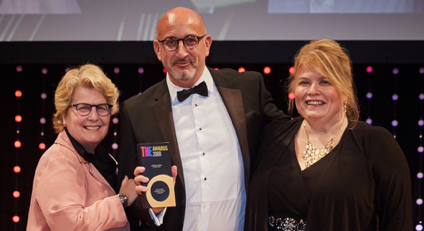 “At a time when universities face challenges and headwinds when politics and social attitudes can seem to call into question many of the things that they stand for and hold dear, it is particularly important to champion the values, creativity and dedication of those who live and breathe higher education. Established in 1819, ESCP Europe has educated generations of leaders and entrepreneurs. With its six urban campuses in Berlin, London, Madrid, Paris, Turin and Warsaw, ESCP Europe’s true European identity enables the provision of a unique style of cross-cultural business education and a global perspective on international management issues. ESCP Europe welcomes 5,000 students and 5,000 executives from 100 different nations every year, offering them a wide range of general management and specialised programmes (Bachelor, Masters, MBA, Executive MBA, PhD and Executive Education). ESCP Europe is among the 1 % of business schools worldwide to be triple-accredited (AACSB, AMBA, EQUIS). Euro Education is the guide for international students aiming to study in Europe. The undergraduate and graduate programme profiles include: description of courses and schools, contact details, application procedures, admission requirements, cost of studies, scholarships, grants, degrees/ qualifications awarded and other relevant information. All listed schools are supplied with response forms linked to their admission offices to answer student enquiries and applications.